At New Year’s, it’s always entertaining to see what unbelievably outlandish lucky bag (fukubukuro) items are going to be offered by luxury department stores. To give you an idea, we thought we’d share with you some of the more unusual and expensive lucky bag packages that Takashimaya Osaka Department Store will actually be offering in 2016, like this miniature Japanese bottle armor and sake set that costs ¥100,000 (about US$830)! 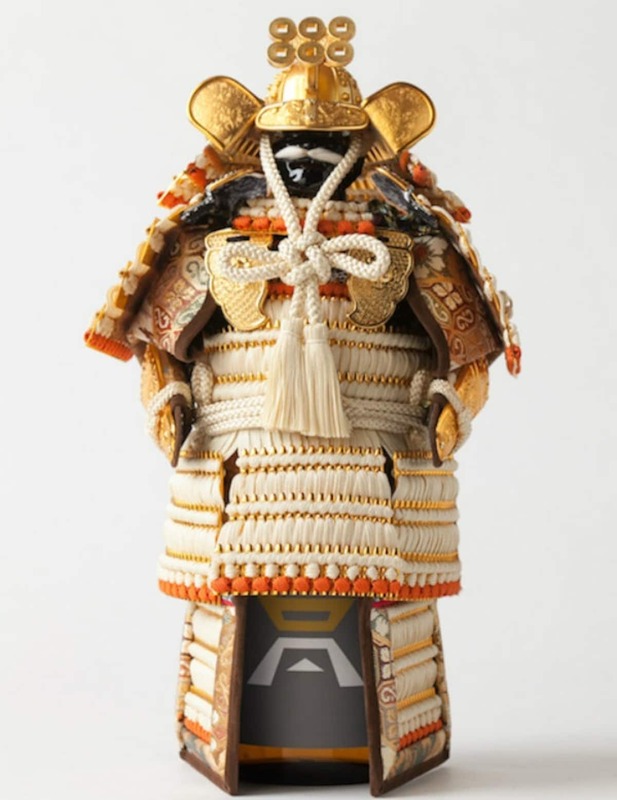 This miniature traditional Japanese armor was made by expert craftsmen in a size that fits over a sake bottle. The armor is a recreation of what the famous medieval warlord Yukimura Sanada wore in battle, and the package also comes with a bottle of sake named after the warlord, the Yukimura Shutsujin. Oh, and if ¥100,000 yen is a bit steep of you, they also have a (slightly) more affordable version in red for ¥60,000 yen (US$500). 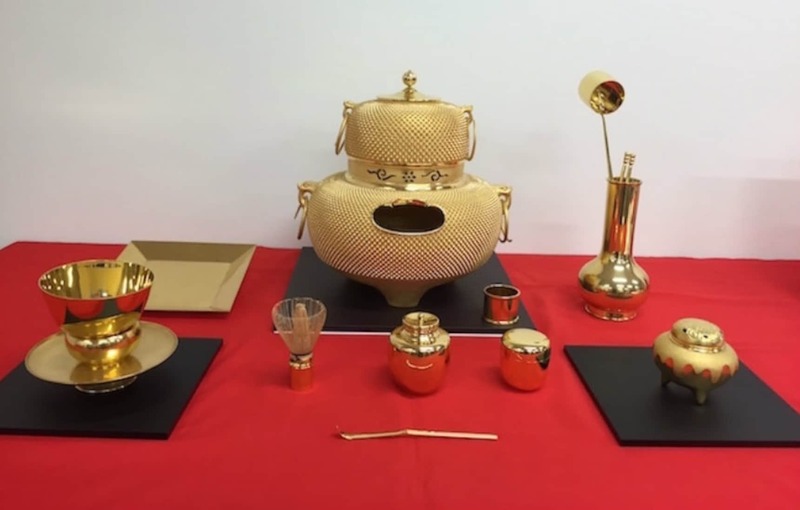 However, the most amazing and precious package by far has to be this gold tea ceremony set priced at a whopping ¥201,600,000 (about US$1.6 million)! Yes, this entire 13-piece tea ceremony set is made of gold—approximately 19 kilograms (42 lbs) of it! We guess that kind of explains the mind-boggling price. There will only be one set available for sale, although we have to wonder if there’s anyone really willing to pay $1.6 million for a tea ceremony set. We’d really like to know if and to whom the set is sold, but we’re guessing that information won’t be made public. Of course, there are other lucky bags with much more affordable price tags, including some especially tailored for foreign tourists with goodies like kitchen knives, thermos bottles and skin care products, but we think it’s still a lot of fun to see the extravagant packages sold at unbelievable prices.